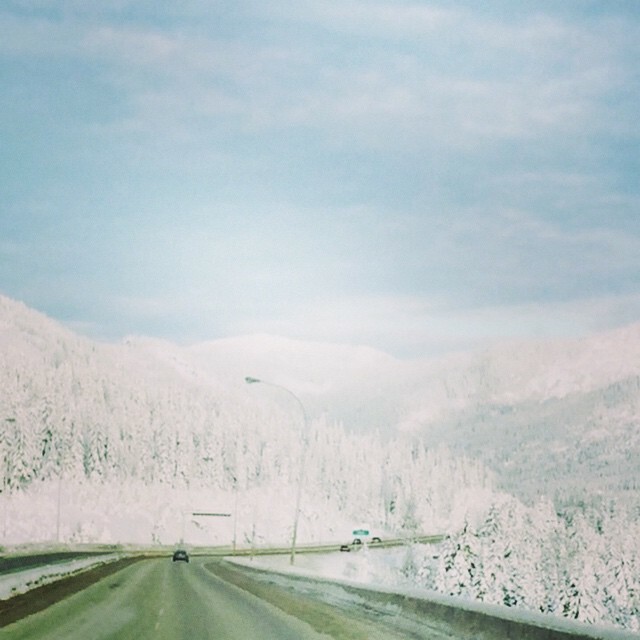 “The people of British Columbia owe a great deal to the search and rescue teams of this province. These selfless men and women risk their lives, in often treacherous conditions, to help reunite our friends and our loved ones. They are a beacon of hope in situations that may otherwise seem hopeless. “On behalf of the Province, it is my honour to help unveil a permanent monument and memorial to the fallen heroes who have paid the ultimate sacrifice in the service of our public safety and to honour those who continue to serve. 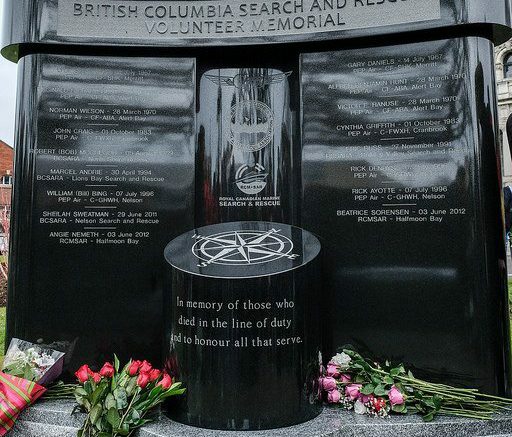 “The memorial is a joint project by the three organizations representing land, marine and aviation search and rescue volunteers: the BC Search and Rescue Association, Royal Canadian Marine Search and Rescue, and PEP Air. “This memorial – on the grounds of the British Columbia Parliament Buildings and home to our Legislative Assembly – sits adjacent to the newly unveiled B.C. Emergency Services Garden of Honour, and existing memorials dedicated to British Columbia’s fallen law enforcement officers, firefighters, and paramedics. “In recognition of these fallen search and rescue volunteers, it is my great honour to proclaim March 2 as Search and Rescue Volunteer Memorial Day in British Columbia. 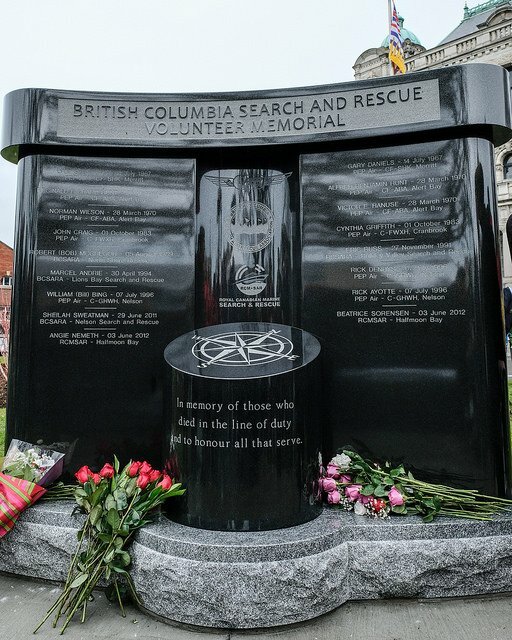 Be the first to comment on "BC Search And Rescue Volunteer Memorial"